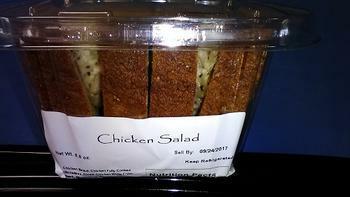 King Soopers is recalling chicken salad sandwiches sold in King Soopers and City Market stores in Colorado, Utah, New Mexico and Wyoming. No confirmed reports of illness or injury have been reported to date. Customers who purchased the recalled product should not consume it, but return it to the store for a full refund or replacement. Consumers with questions may contact Kroger at 1-800-KROGERS, Monday through Friday 8:00 a.m. to 12:00 a.m.( ET), and Saturday & Sunday 8:00 a.m. to 9:00 p.m. (ET).